This recipe is going to be a geeky one. And for you Doctor Who fans, you will like this! I wanted to make something that would resemble a TARDIS. And this cupcake recipe is perfect! 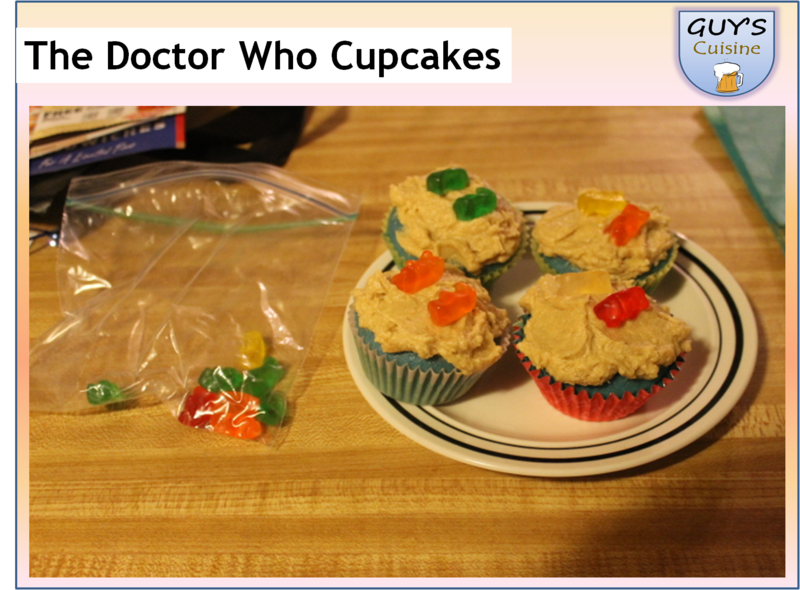 This could be a big hit at a Doctor Who viewing party especially this November! Here’s what you need! 1. 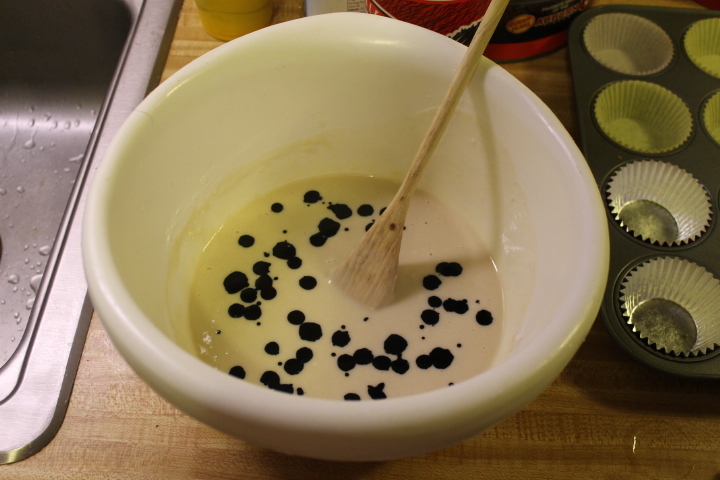 Mix together the flour, sugar, baking powder, salt, egg, milk, and oil in a bowl and mix well! Preheat oven to 375 degrees. 2. 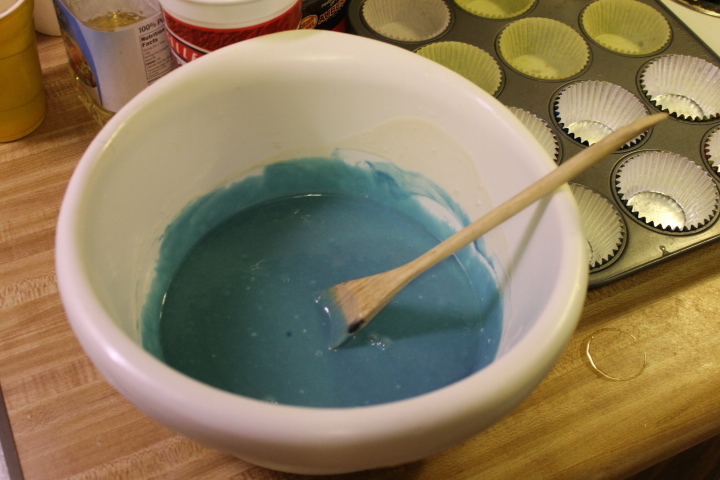 After mixing, add drops of blue food coloring into the batter. Add as many drops as you want to make it as blue as you want it! 3. 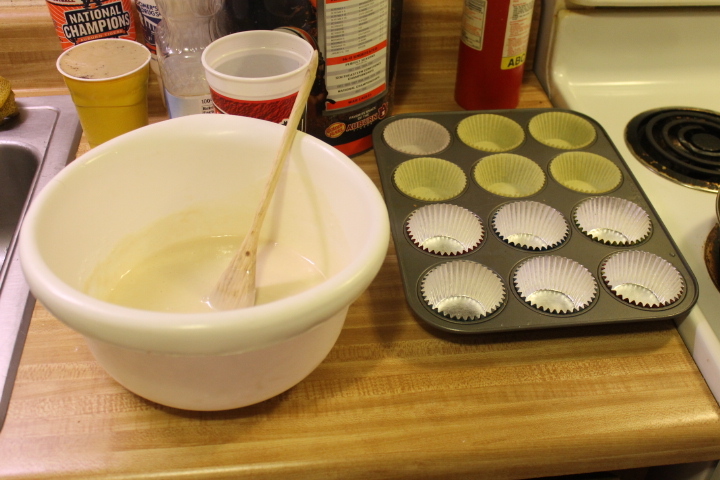 Pour batter into the muffin tins, and bake for 15-20 minutes. 4. 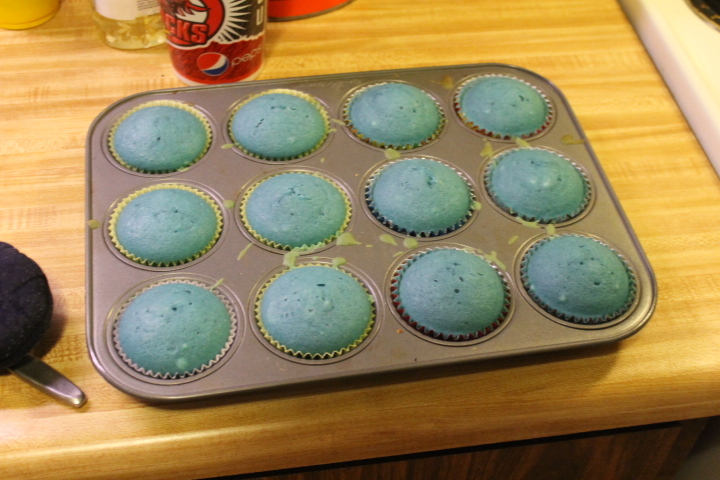 Let the cupcakes cool completely! 5. 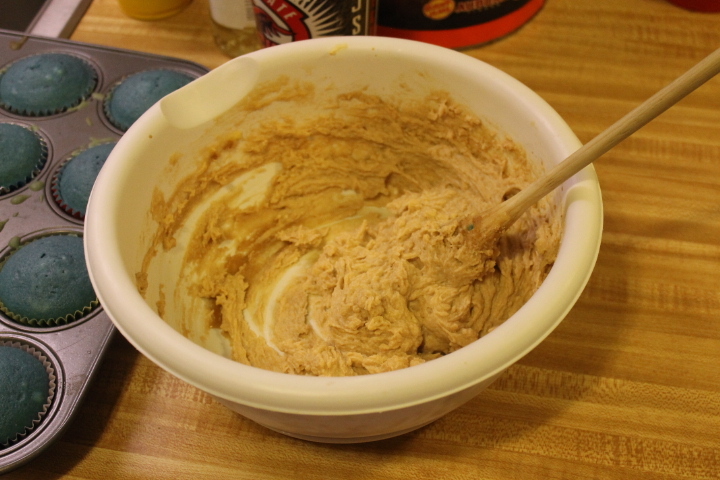 Mix together butter, brown sugar, and vanilla extract and cream ingredients together! 6. 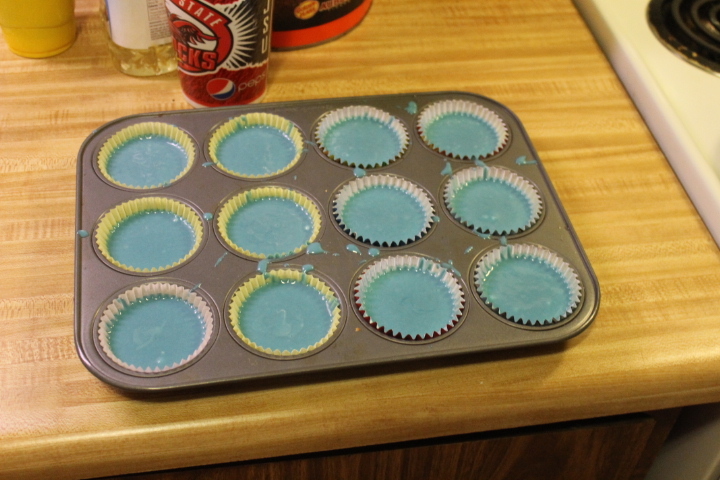 Add the frosting on top of the cooled cupcakes! In Doctor Who, one of the Doctor’s favorite foods is the Jelly Baby. These candies are almost like gummy bears. 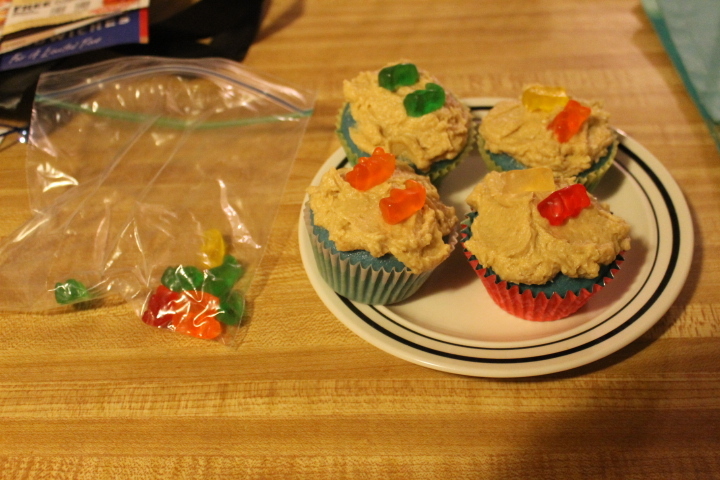 Since you can not find jelly babies, put a couple of gummy bears on top of the cupcakes! 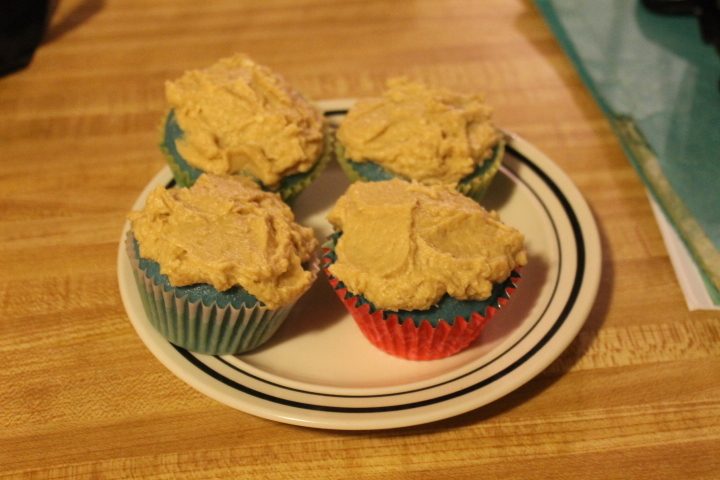 Enjoy these cupcakes, they are good!